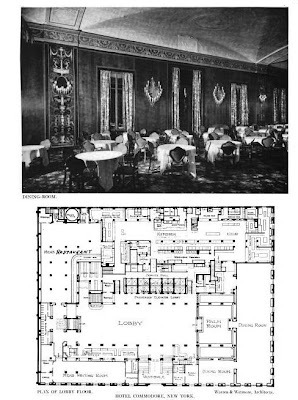 The Commodore Hotel designed by Warren & Wetmore c. 1919 East 42nd Street and Lexington Avenue in New York City. 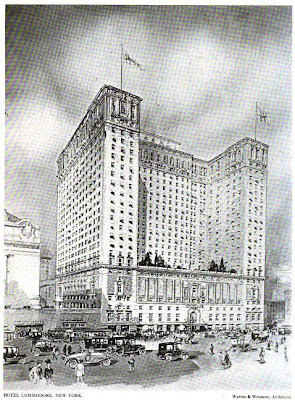 The hotel was built to service Grand Central Station and shared a garage with the New York Biltmore Hotel, the Commodore's sister hotel next door. The building was purchased by Donald Trump in the mid 1970s and completely gut renovated becoming the the Grand Hyatt New York. Click HERE to see the Trump incarnation on google earth. I've filed this post under 'demolished' because even though the structure still stands there is little left to remind us of the Commodore. I'm surprised at Trump, I thought he cared for, and preserved old mansions and buildings. If they took down all that mirrored glass would the old structure still be underneath? Click the link to the Commodore page on wikipedia and it tells you specifically what Trump did to alter the building. He also was famous for jack hammering the art deco reliefs on the facade of the old BonWit Teller store on 5th Ave when he didnt want to slow down construction of Trump Tower so preservationists could remove them in time. That was after he promised to preserve them and offered them to the MET I believe. Yea some preservationist alright. I have a few pics from 1978 I took, you could see the workers jackhammering off all the stone carvings, cornices and projections on the lower 2-3 floors that were all limestone- to make them all flush with the rest of the brickwork so they could attach that glass junk facade. They were essentially destroyed even if whats left of the crvings and incised hotel name are still there. This breaks my heart...angers me too. 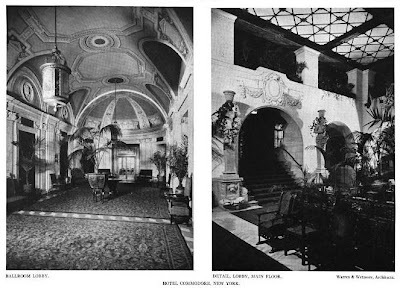 My grandfather, Joseph Aruta, was responsible for the murals and frescoes in the ORIGINAL hotel. Like the murals that the awesome UN-destroyed Sherry Netherland Hotel is currently restoring to their former glory. This is just so sad. Ugh, the short fingered vulgarian strikes again. Does Trump actually have any redeeming features? What a beautiful hotel in its original state. I have a book of architecture called "Lost America". 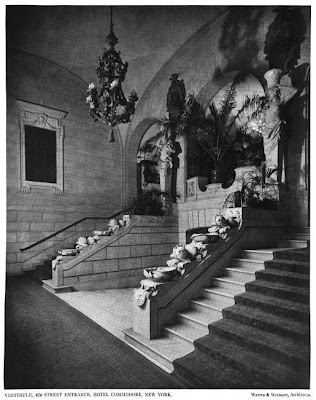 Its a book of turn if the century hotels and mansions that were razed for the sake of "improvement", which is far from it. What a tragedy that Trump could not see the critical relevance of saving our young nations only pieces of early modern architecture. What's worse is that the City of New York allowed it to happen. 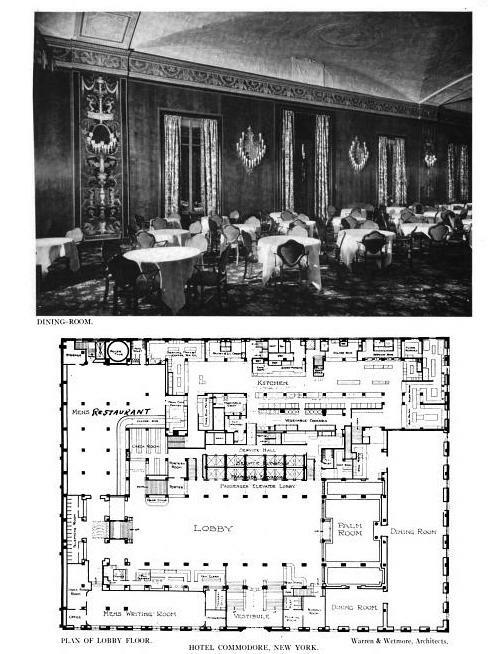 The Commodore Hotel was designed along with the Roosevelt & Biltmore to accomodate passengers using Grand Central Station. All these buildings complemented the station but only the Roosevelt remains. 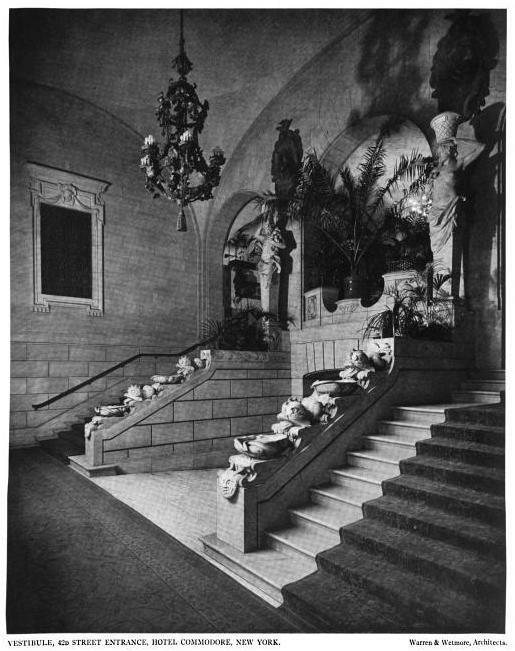 The greatest loss was without doubt the Biltmore, one of N.Y.C's (and in fact America's) finest hotels which had fallen on hard times by the 1980's but could have been restored to it's former glory. 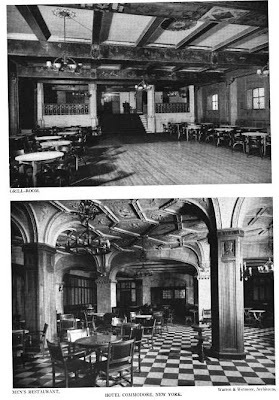 I have fairly vague memories of the Biltmore & Commodore but from photos it's obvious they were a great loss to the city. Just had some 16mm film converted to DVD. If you will let me know your email address, I will send the 14 min. Home Movie to you. It was taken in 1949, when I was 6 years old. It show the Commodore Hotel sign in front. My family was in NYC for the 1948 Rotary International Convention. Hi Randy. 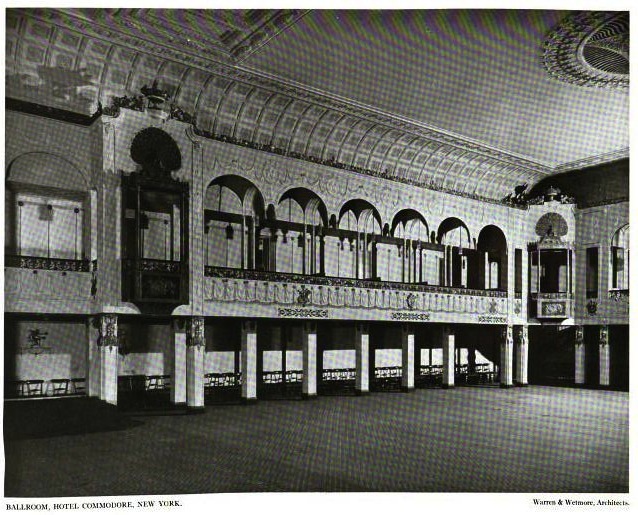 I'm so sad to see such extraordinary buildings like the Commodore being destroyed. I, too, would love to receive your video. My address is defrench333@gmail.com Thanks.